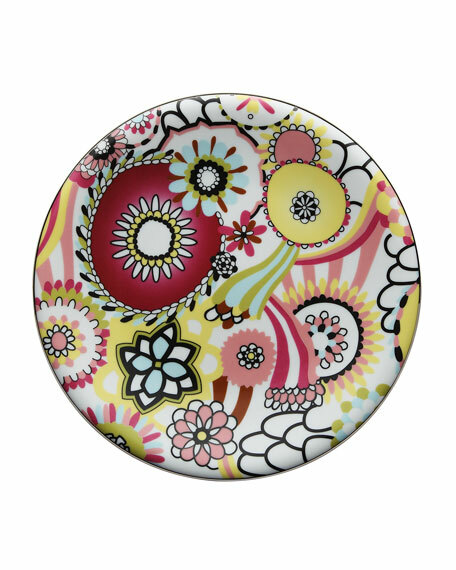 Margherita porcelain dessert plate in kaleidoscopic abstract floral design. Produced by Richard Ginori for Missoni Home. For in-store inquiries, use sku #1717544.